SILVER CREEK, New York, November 30, 2010 – – LPGA National Teacher of the Year, Cindy Miller knows that to get the attention of corporate America, some extra vocal finesse could be helpful to seal the deal. So when the Legends Tour competitor needed a persuasive voice for her new promotional video, she hired voice talent Peter K. O’Connell. Cindy and her husband Allen Miller, a gifted fifteen year veteran of the PGA Tour, are the only married couple in the world to have played on four major tours – PGA, LPGA, Champions and Women’s Legends Tour. Together they have created a unique team-building program call “Improve Your Team from the Inside Out”, which uses golf as a platform for developing lasting communication dynamics. The program is one of the many educational, entertaining, and engaging programs offered by her company, Cindy Miller Golf. She is also recognized around the country as a fan favorite for her stellar performance in the Golf Channel original series “The Big Break III: Ladies Only” and “Big Break VII: Reunion”. 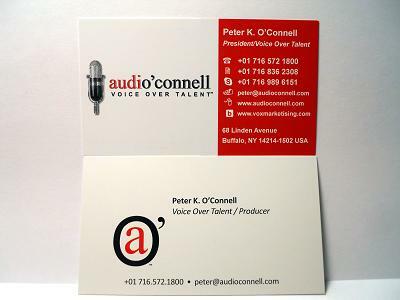 A professional voice talent since 1982, some of Peter K. O’Connell’s professional voiceover credits include productions for the Public Broadcasting Service (PBS), Shell Oil, Starz Cable Channel, Time Warner Cable, New Jersey Alliance and New Jersey Tourism, J. Walter Thompson Advertising (JWT), 2K Games, Cleveland Browns, Tops Friendly Markets, Harlequin Enterprises, First Choice Power, Pathmark Supermarkets, Crosby Stills & Nash, Fashion Outlet Mall and the American Red Cross. O’Connell’s voiceover skills have been heard world wide in retail commercials for radio and TV, medical narrations, infomercials, e-learning narration projects (computer-based training, internet-based training or web-based training) political commercial voiceovers, TV network promos, public service announcements, as well as other video productions. 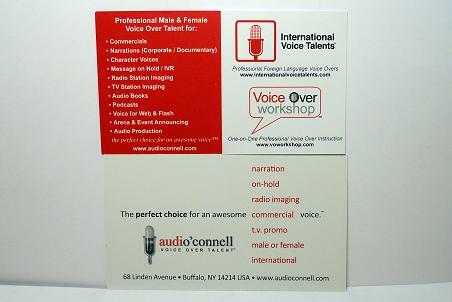 audio’connell Voice-Over Talent is a worldwide, English language-based voice talent business. The company provides voice talent for commercials, animation, corporate narrations, documentaries, broadcast voice imaging, audio books and messaging on-hold. Founded in 1982, world-wide industries served by the audio’connell include advertising agencies, media and broadcast production companies as well as both large and small businesses. Sister company International Voice Talents provides similar services, using professional foreign language male and female voice actors. Mr. O’Connell also owns Voice Over Workshop, which provides professional voice over training to novice and experienced voice talent world-wide. audio’connell Voice Over Talent, International Voice Talents and Voice Over Workshop are all a part of O’Connell Communications, LLC. I can’t remember when I first signed up with Voices.com but I think it was 2004â€¦.pretty early into their creation. I tried it for a couple of years and then went back to my free listing. I wonder if they will be starting an old timers or founding members club soon? 6 years is like 60 years in web years. All along the way, the company has always worked hard on their customer service. And Ã¼ber-web geek David Ciccarelli (co-owner of the company with his wife Stephanie) has always tweaked and improved the site. But alas, the software program they were using had conniption fits if I tried to use an apostrophe in my last name or my company name on a title page (some computers and web browsers even today show a diamond with a question mark where apostophes should goâ€¦makes me think no Irishmen or Italians were involved at the start of the internet). David himself some years ago tried a work around with me on that challenge but no go with that software version. Instead of O’Connell, it might be listed as the very inelegant OConnell or even worse Oconnell (ugh!). And did you ever watch somebody try to pronounce audioconnell? As audio’connell they seem to have a better time with it. Certainly not end-of-the-world stuff, all this, but it still makes you wonder whose alphabet and symbols these early web lords were using when they started the interweb? Oy! Well I was on the Voices.com site recently and low and behold I saw some O’Connells WITH apostrophes in their names! As I am not a paid subscriber I wouldn’t expect to know of any such updates when ever they happened (maybe they themselves missed that minor update tweak) but I did get on the phone to Voices.com make sure I could make the update with no problems. I had the good fortune to speak with Scott at Voices.com who (true to company form) was very helpful in making sure there wouldn’t be any computer glitches. He could not have been nicer. So NOW when you search Peter O’Connell on Voices.com I’m the first listing. When you search O’Connell on Voices.com I am the LAST listing (although I am ((puff, puff)) the most often listened to of all the Voices.com O’Connells) but I think my last place listing there is because mine’s just a free listing which is understandable. I even tried using the K. as in Peter K. O’Connell in the listing change with Scott, which is what I use professionally, but we went back to just Peter O’Connell in the page title because the upgraded software evidently didn’t like middle initials or periods and dropped my search results way down in both types of searches. Whoa is the poor period! Flummoxed is the lonely middle initial! What ARE the Peter K. O’Connells, the Michael J. Fox’s and other short, middle aged voice actors to do?! Work around it like we always do! But at least I got my apostrophe. Alls right with the world. I got a message from Deb Munro on Facebook that her Double Diva Voice Over Seminar December 4 & 5 (2010) in Toronto is ALMOST sold-out. Two spots left…and she left me this message a couple of days ago. So you better get on line to see if there’s still room for you. Also it turns out that Elley Ray Hennessy is casting for a Disney feature during the seminar. There will also be a mixer Saturday night and i don’t think you have to be a part of the seminar to attend…but check anyway because I don’t know where they are having it. 3 thoughts on voice over technology – iAudition, do you? It dices, it slices it even make julienne fries! But wait, there’s more! Well then George Washington, III chimed in with his experience on the device. As I am not nor really ever been a pioneer on technical items, I figured now that these two fellas had tried it, maybe for a penny under $5 I could try it for my iphone. So I pinged in Facebook that I had done just that and one of the comments I got in response to that post got me to thinking. I love comments like Don’s because they start me thinking and in this case three thoughts popped into my head. It is pathetically obvious to even the most unengaged user of technology that as soon as you buy the newest computer at the store, it’s outdated in some aspect of its internal technology. 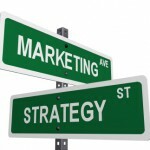 Beyond computers, it the tech sectors business model â€“ always be improving so customers will buy your newer stuff. This is, to my knowledge, one of the first apps of its kind for iPhone and it’s very specifically targeted my area of business. Obviously my biggest concern with something like iAudition is audio fidelity and qualityâ€¦so will Don be proven right? Will I hate it? I won’t know unless I try it and at under $5, I can roll the dice on this technology. As an example: black and white TV’s died when a successful color TV model was invented. HDTV is having the same effect on analog. People expect better. BUT sometimes people’s expectations for quality can be lowered and those lower expectations become acceptable. One example I site is this: I remember, growing up, that people always dressed up when one flew on an airplane; jackets and ties were the norm. Now it’s just nice if people keep their flip flops on during the whole flight. In voiceover, the same thing has happened whether we like it or not. Recording studios and their amazing acoustics have given way to home studios where voice talents manage their acoustics with bed foam and moving van blanketsâ€¦the clients know not the the recording room difference most times when they listen to the finished file. Remember when voice over agencies ruled the business? Most professional voice talents signed with an agency and the agency did all the marketing for the talent (one might even go to the agent or the client’s office to audition). Now the Voices.com and Voice123’s of the world have changed that dynamic. And while some of their clients offer fine quality audio recordings and performances, some are pathetic in both those measures. But because those lesser talents will work for pennies on the dollar, they get work. 3. What is the tipping point for “acceptable” audio fidelity on auditions? Whatever it is today, I think it will be different tomorrow. In much the same way America had recording studio quality standards years ago, today radio stations will seemingly broadcast almost anything for ad dollars and I can’t blame them. And video not audio has always been a prime focus for television ads as anyone who has ever watched a local cable ad can attest. So what about when auditioning? Will clients and production houses sacrifice pristine audio quality on auditions since they are only auditions? Shouldn’t the audio quality of the audio represent the level of the finished product should that voice talent get the job? Or will the client assume that can all be fixed in post? It’s an evolving answer but as our national consciousness seems to be focusing on faster and easier more so than better and quality, I think this debate in the voiceover industry isn’t but a year or so away from getting a clearer answer. Evidently great minds think alikeâ€¦and sometimes so do I! It seems to be marketing and branding review time in VO land. I think you’ve probably seen my post on redesigning my business cards. I didn’t believe it would garner that much interest but John Florian now has it up on Voiceover Xtra! But I was not the only person redoing their voice over business cards. My pal Connie Terwilliger also posted about updating her business cards too, making a point to leave space on the backside so people could write notes if they like (ah, white space is going to be so “in” in 2011). Then I caught a post by the lovely and talented Anthony Mendez who just did a blog about the nicely done refresh on his logo. Anybody else out there cleaning up their branding act for the new year? 1. Be consistent, you moron! The old cards didn’t really match the overall look and feel of my branding…I know better than this so how could I be so dumb? 2. Less is more because the old more was unreadable! It was a few years ago and I thought every detail of my business had to be on one card…all that stuff basically confused the heck outta people or made the card unreadable and useless. Not good. 3. White space is your friend! Font vomit and logo diarrhea is not your friend yet the old card had both of them and none of the white space. Ya gotta give people’s eyes room to read and even relax a bit with a card, they’ll probably retain more info that way. Still not sure if the main logo and the secondary logo will throw people off or if it won’t matter much to anyone. 4. Oh, you do voice overs too? Somewhere in the old card, you might be able to tell that the president of the company may have, at one time in his career, actually performed voice overs himself. In the new card, especially on the front, that should be clearer now. Titles are for suckers and it appears at one time I was a sucker for titles. 5. If you are creative, show it! It took me some time, but on the back I created a design to show the company, everything the company offered and tied in the logo all without making people’s eyes bleed. Extra points: In a year or so I’ll do another blog post on how I have come to hate my new card design too. Now these are my takeaways, but your opinions on the old versus new business card may be vastly different…and that’s OK, I want to know what they are in either case.